Fictional film industry in Bangladesh is dominant, dramatic, distorted and surreal but still profitable. Therefore, non-fiction films or documentaries are neglected. Also the genre is not popular. 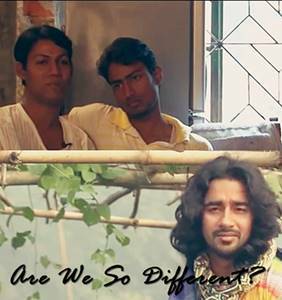 Documentaries made by Bangladeshi filmmakers are rare, however, some new generation of independent filmmakers are trying to change the scenario. We will cover that story in another post. This list of documentary films on Bangladesh are all made by non-Bangladeshi documentary makers. Some are feature-length, some are shorts, some are old, some new. The list is in random order. Previous lists can be found here – Part 1, Part 2, Part 3, Part 4, Part 5 and Part 6. 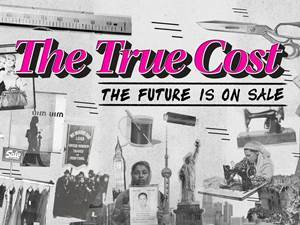 The True Cost is a documentary film exploring the impact of fashion on people and the planet. This is a story about the clothes we wear, the people who make them, and the impact the industry is having on our world. The price of clothing has been decreasing for decades, while the human and environmental costs have grown dramatically. The True Cost is a groundbreaking documentary film that pulls back the curtain on the untold story and asks us to consider, who really pays the price for our clothing? Filmed in countries all over the world, from the brightest runways to the darkest slums, and featuring interviews with the world’s leading influencers including Stella McCartney, Livia Firth and Vandana Shiva, The True Cost is an unprecedented project that invites us on an eye opening journey around the world and into the lives of the many people and places behind our clothes. The film got some funding through KickStarter. John Pilger travels to Bangladesh to report on the horrors of the famine in the country, its causes and tragedies, circa 1975. With people passing away on the street on a daily basis from starvation and US foreign policy continually ignored, An Unfashionable Tragedy documents the plight that continues to this day, showing that food is a powerful weapon, more powerful than oil. 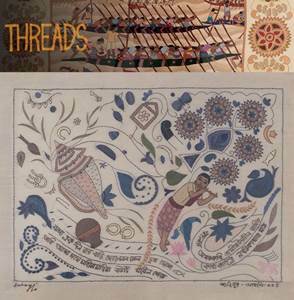 Thread is a documentary about an unconventional Bangladeshi woman liberates herself and hundreds of others from social and economic hardships by creating timeless works of art. World leaders such as Queen Elizabeth II and Kim Il-Sung were given her art, yet she is virtually unknown in her own country. Surayia Rahman, one of the first women artists of Bangladesh, looked to her own inspiration and ancient kantha quiltwork to support her bedridden husband and her children. But she never expected that destitute young mothers would come searching for her, nor that the elaborate art that they created together would find its way to royalty, museums and private collections around the world. Communities, societies and individuals all have the capacity to thrive no matter what the circumstances are. This is the message of our latest documentary “Paddy Field Still Green” showing the impact of cyclones on the local communities but also their ability to counter adverse affects and turn the situation around. This documentary tells the story of adaptation to the impact of the cyclones in Bangladesh. The film explores how local communities and NGOs have tackled the impact of these natural disasters and how the beauty of the region is emerging once again. 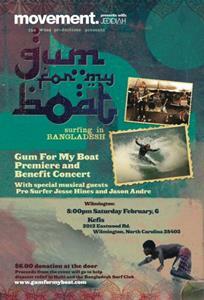 An alluring documentary that touches on the redemptive power of surfing in Bangladesh. This short feature tells the story of how a group of more than 30 boys and girls, many of whom are poverty-stricken street kids, are making a difference in their community and how the surf club they started is the catalyst for this change. Due to a fearful, conservative culture, the ocean was once deemed off limits to these children, who now see surfing as a source of fun, escape, and even a way to make a living. The film follows professional surfer Kahana Kalama (A guest on Fuel TVs series On Safari) as he works with Hawaii-based nonprofit Surfing The Nations and learns that sometimes surfing involves more than catching waves. Gum for My Boat won the people’s choice award at the 5 Point Film Festival in 2010. A lot of our clothes bear the label ‘Made in Bangladesh’. But before the deadly collapse of a garment factory there last April, most of us never thought about the people who make them. After clothes bound for Canada were found in the rubble of Rana Plaza, Canadian companies reacted with surprise – how could such a tragedy happen? The Fifth Estate’s Mark Kelley went to Bangladesh and tracked down workers who say they are still forced to make clothes for Canada in dangerous conditions. And Kelley goes behind bars for an exclusive interview with the jailed owner of one of the biggest factories inside Rana Plaza, who details his long-standing, multimillion dollar connections to Canada. 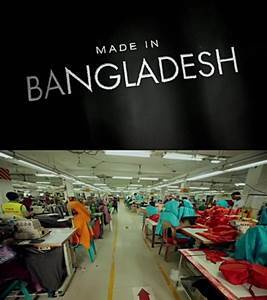 CBC’s the fifth estate won International Emmy for ‘Made in Bangladesh’ documentary. A similar short documentary was broadcasted on Al Jazeera – Fault Lines with same name in 2013 which won a Peabody Award. In Dhaka, climate change refugees are moving from the countryside and into squalid slums due to environmental degradation. Like millions of others, Alam Mia has been forced to make the teeming capital of Dhaka his home. 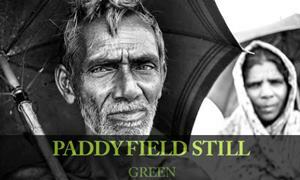 We follow his journey as he leaves his homestead in search of a livelihood in the city. Dhaka feels more like a foreign country than home. For the family, it is a struggle for survival. Alam Mia is trapped. His move to the city is not a beginning full of possibilities. Korial, Dhaka’s largest slum signifies the bitter culmination of his dreams. 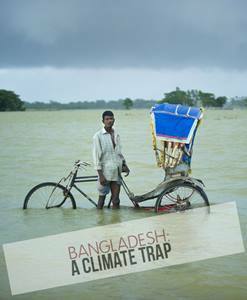 Bangladesh: A Climate Trap was selected for official selection at Portland Maine Film Festival 2012 and at New Filmmakers, New York 2013. 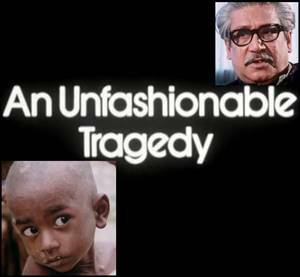 The film talks about a range of masculinities and its impact on people’s lives, and about how different people have unique experiences of coping and surviving in Bangladesh, often ruled by strict masculinist and patriarchist ideals. The stories of those who challenge these strictures and notions are told in this film in their own words. In northern Bangladesh exists an ephemeral group of islands that are locally known as ‘chars.’ For an estimated 3 million people without room to settle on the mainland, the chars are home. Everything here is transitory and difficult in a land challenged by climate change. Agricultural land appears, then disappears. The average char islander moves 12 to as many as 40 times in a life. 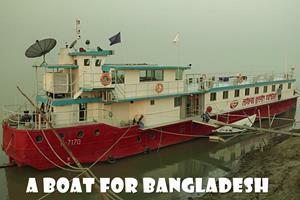 Ten years ago, an NGO named Friendship began to provide health, education and community infrastructure using boats. The NGO is led by a Bengali woman named Runa Khan. A Boat for Bangladesh was triggered by the arrival of a new boat in the Friendship fleet -Greenpeace’s iconic RAINBOW WARRIOR 2, which extends Friendship’s reach to the Bay of Bengal. Violence in Bangladesh: Who killed Rajon?